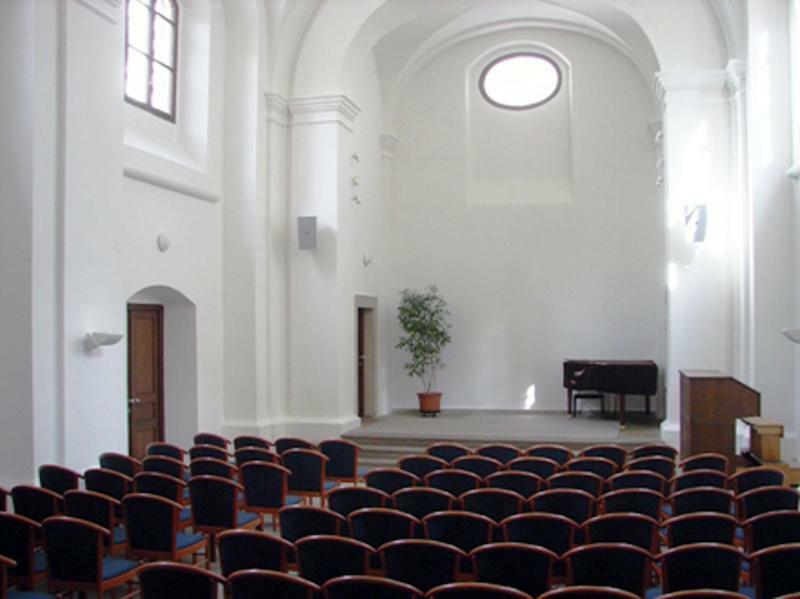 Atrium concert hall features great selection of chamber classical music in Prague. Visit an interesting cultural space Atrium located in a former church, where you can listen to first-rate chamber Prague classical concerts. A former church in pictoresque neighbourhood of Zizkov, where the cultural space Atrium is located, was saved from complete destruction at the last minute. Built in 1719 next to a plague cemetery by an unknown baroque master it soon gained popularity. The church became a destination of pilgrimages, and it was called the Church of Exaltation of Holy Cross. Municipality established an Ivanites hermitage, and a rectory was added. In mid 19th century the church was closed down and it took more than 100 years of gradual deterioration until funds for its restoration were raised. Nowadays, you can enjoy chamber classical concerts and exhibitions in the space which still holds strong spiritual value.